The Library’s Local History Center will acquire and preserve materials relevant to the history of Custer County and the Wet Mountain Valley. The History Center will be used for research, educational purposes, and exhibition. 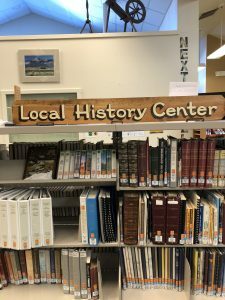 By agreement with the Historical Society, the Local History Center will also serve as a central computerized location for information on historical materials and collections held by other local groups and museums. The materials cannot be checked out; access to them starts with asking a staff member for assistance with the search. Copies or printouts of archival material will cost at least the regular rate for those items, but might include some additional cost for staff time.